Cooperation, altruism, anything but self-interest, have long been perplexing to true Darwinians. According to theory, cooperation can't happen unless it has a payoff in terms of increased fitness because it's costly to the donor. So, cooperation is redefined as ultimately just a form of competition, or as selfish only being done when those who cooperate can expect reciprocity, or only practiced among kin. A new paper in Current Biology, Social Evolution: Reciprocity There Is, Taborsky, challenges the idea that cooperation only happens among kin, supporting instead the idea that it is evidence of reciprocity; you pat my back and I'll pat yours. But such arguments basically make the competition viewpoint a tautology, an assumption, from which any explanation can be -- must be -- just a kind of mathematically different way to express competition. However, cooperation is so ubiquitous, at all levels of life, that it should stand alone, without being remolded and forced to fit classical Darwinian theory. 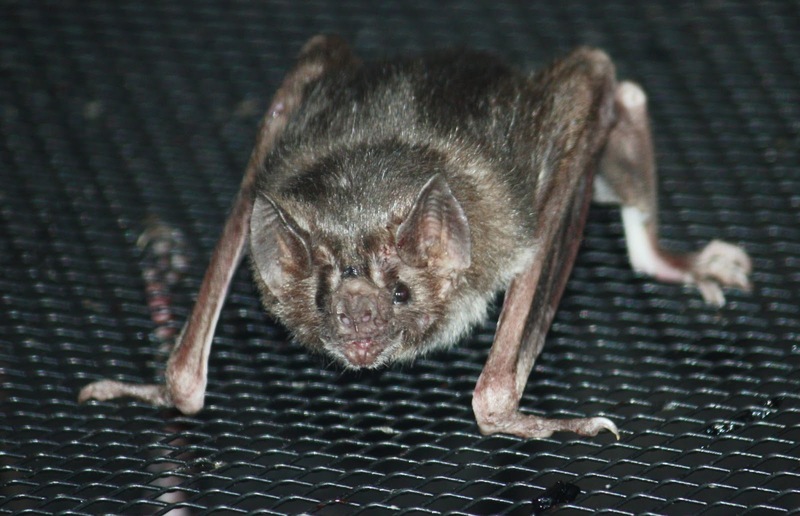 Taborsky cites a recent paper on food sharing among vampire bats. These animals often feed roost-mates by regurgitation of a blood meal, and the question has been why such behavior would have evolved. The original explanation for this costly helping behaviour invoked both direct and indirect fitness benefits. Several authors have since suggested that food sharing is maintained solely by indirect fitness because non-kin food sharing could have resulted from kin recognition errors, indiscriminate altruism within groups, or harassment. 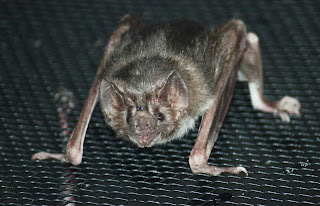 The authors tested these alternate explanations by looking at food-sharing over several years among a group of bats. They determined that sharing was initiated more often by the donor than the recipient, so clearly it wasn't due to harassment. And, they found that bats who were given food were more likely to share, and that this reciprocity was more often involved in sharing than was relatedness between bats. Food sharing was also correlated with social grooming. The authors conclude that food sharing has direct, mutual fitness benefits that is more about reciprocity than kinship. Well, maybe. The assumption underlying the idea that cooperation, or altruism, are in fact selfish behaviors is that everything organisms do must be optimized to reduce energetic costs and to increase fitness. This in turn largely also implies the assumption that evolution arrives somewhere, that organisms have finished evolving, and that energy expenditure for a given lifestyle must be as low as it can be and fitness as high as it can be. There are problems with these assumptions. The first is that evolution never arrives, organisms are always in process -- there is clear-cut genetic evidence for this. Dead genes, called pseudogenes, litter most genomes, relics of gene duplication events in the distant past, or functions the organism no longer has (chickens still have genes that could produce teeth, if asked to at the right time and place in development, e.g.). And, whether you come down on the ENCODE end of the "junk DNA" debate and accept that 80% of non-coding DNA has function, or the Dan Graur side of the debate and accept that most DNA is in fact junk (that is, doesn't do anything relevant), there does seem to be at least some of the genome of most species that has no function, whether or not it once did. The point is not to rehash the junk DNA debate, but instead to point out that whether it's 20% or 95% of our genome, we seem to be spending a significant amount of energy making DNA that has no function. That's not optimal. Further, we've got a lot of DNA repair enzymes floating around in our cells, and the reason is that the processes of chromosomal replication, DNA transcription and translation are not error-free. When the wrong nucleic acid is incorporated in a new stretch of DNA or mRNA, the cell has ways to detect this, and then correct it. Why should these error-prone mechanisms have been maintained by selection, if optimal energetics is its goal? There are numerous examples of imprecision at the cellular level. 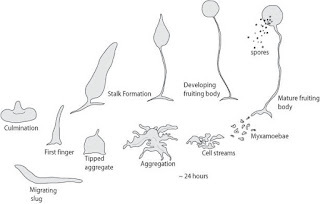 Gene transcription can be stochastic, somatic mutations occur and proliferate, during development superfluous cells and tissues are made, such as webbing between the digits, and then programmed to die before birth, and so on. If energetic optimization were a rule that evolution was supposed to be following, evolution didn't get the message. Similarly with cooperation -- if cooperation were only competition or selfishness in disguise, it's hard to know what to make of the interaction between cellular organelles, genes, gene products, cells, tissues, organs, organisms. Sexual animals can't even reproduce themselves alone. We're dead without our microbiomes. Ecosystems are built upon cooperation. As we've been discussing recently, this relates to the selectionist assumption, that there must be a selective reason, that is, one based on raw competition, for everything organized about life. If cooperation leads to proliferation of whatever is responsible for it, then that means something isn't proliferating and that implies competition -- or, rather, that is an instance of redefining cooperation as just another form of competition. Since differential proliferation is a fact of life, and proliferation is necessary for a species or lineage to persist over time, one can take a cold mathematical view and say that it is perfectly legitimate to show that everything can be translated mathematically in to proliferation based on competition. This is not really accurate, but is actually beside an important point here. That point is that cooperative interactions at various levels from genomes to cells to organs to individuals in a species and species in ecosystems, are how life works on a daily basis. Even if one were to grant that this arose because of some version of competition, that doesn't help understand how or why the cooperative organization works today. Yes, there may always be a Darwinian component of variation and behavior, but that won't help understand the 'emergent' nature of the cooperative interactions. Cooperation in the sense we're talking about is so ubiquitous that it is at least as important a feature of life as the competition that occurs. Indeed, natural selection, as Darwin clearly noted, is usually very very slow, almost undetectably so. But cooperation is manifest all around us all the time. It deserves more careful attention on its own terms. Bee colony collapse: A hyper-polygenic trait?